Since last many years, we are working on various social & civic issues, that include Environment, Pollution, Mobile Tower Radiation, UV Index, Power Tariff, Drinking water, Traffic jam, Parking, Water Logging, Sanitation, etc. etc. This page is about the Availability of Drinking water in Delhi. Must keep in touch for regular updates. The scarcity of Drinking water is one of the severe problem being faced by the residents of Delhi. 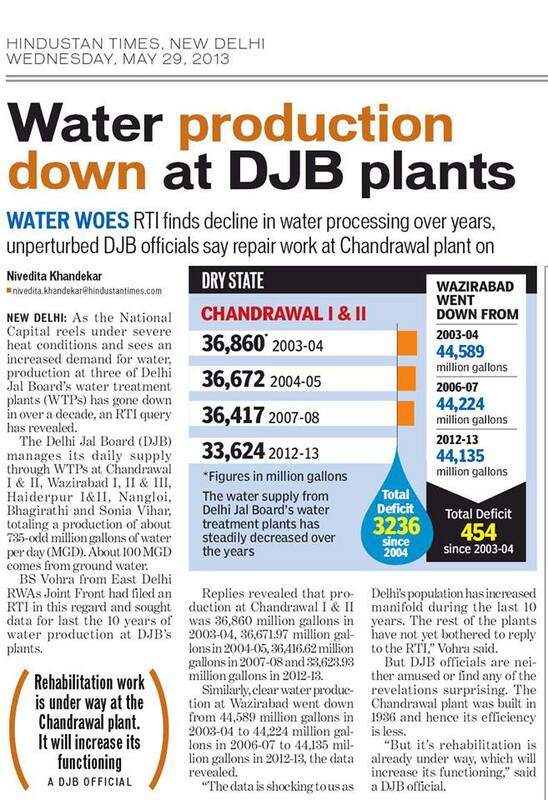 We thought of checking the actual production of Drinking water by Delhi Jal Board. The reply was shocking. 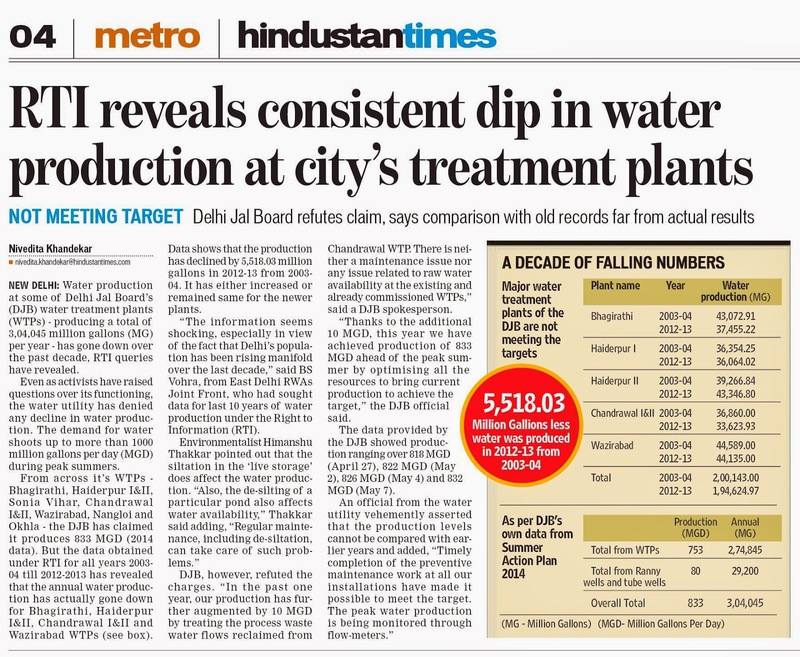 DJB is producing the quantity of drinking water much lesser than what it used to produce ten years ago, while the population has doubled. In such a case, how the residents can expect neat & clean drinking water ? While we were not getting the sufficient quantity of Drinking water from DJB, Delhi Govt had ordered an annual increase in the water tariff by 10%. 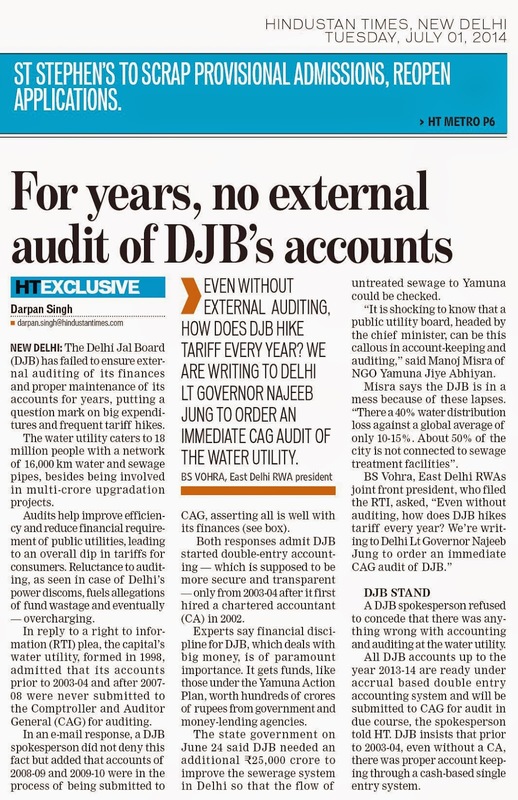 So we thought of checking the status of profitability of DJB. We were shocked to note the DJB with a turnover of appx. 4000 Crores was not being audited since last six years.